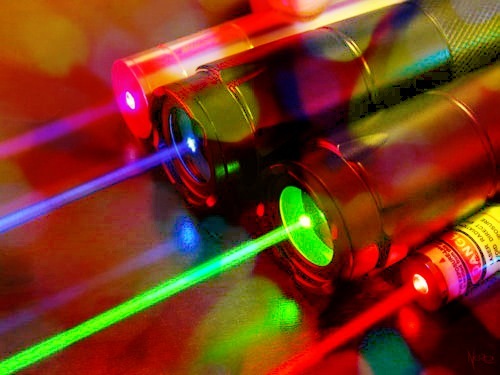 Electronics project: Transmission of audio by laser light ~ Engineering projects ideas for final year students & paper presentations collection blog. Title: Transmission of audio by LASER. This project on transmission of audio signals is very interesting for young engineering students who are in good mind set to develop projects by themselves to improve their practical knowledge. Working on this project of audio transmission will need strong basics in electronics but you need not worry if you are a beginner or amateur. The paper attached below are brief enough for any engineering student to understand it and work on it. So we all know that LASER stands for Light Amplification by Stimulated Emission of Radiation most of the science majors, right from the day they were shown a laser in either classes or somewhere else, will have a attraction towards it. So if you haven't done a project with a laser, use this opportunity to work. We all know that light is now widely used a media of communication at different applications. We know about fiber optics too. where the data is converted into light and feed into one end of a fiber cable and received at the other end.